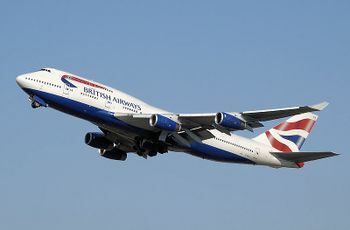 The Boeing 747, nicknamed Jumbo Jet, is one of the most iconic aircraft in the world. Introduced in 1970, over 1,400 aircraft have been built in 5 different versions. The jet was the first to feature dual passenger decks and because of this has since been converted into various military and governmental versions. This page lists all films that feature a variation of the Boeing 747. Pages in category "Boeing 747"
This page was last modified on 25 June 2017, at 18:05.